Its mid-July and almost everyday heat records are being shattered! This means that kids are getting bored and tired especially as the temperatures continue to rise. So it’s important to have back-up plans to beat the heat and kid’s summer boredom! So here’s a list of some of our favorite creative ways to stay cool! All you need is your favorite fruit juice and some Popsicle molds and in a few hours you have got a delicious ice-cold treat! Popsicle molds are relatively cheap and can be bought at Rite-Aid, Walmart and off Amazon! Our favorite juices to use are orange, mango and guava. If you are feeling fancy you can even add some fruit! It’s a great way for your kids to get a little creative and get to customize their treat! Another great inexpensive way to cool off but still be playing outside is to play some water games! These are some summer camp classics that kids love! Some basic ones are water balloon tossing contests where you get further and further away from your partner! 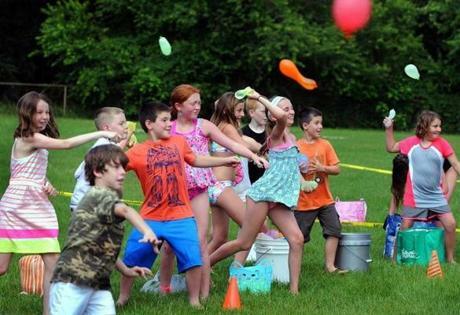 Or just a water balloon fight if you don’t mind picking up all the balloon remnants after! Another great game for littler kids is duck-duck-goose featuring a soaked sponge; as you go around you hold the sponge and let it drip onto the heads of the ducks then you squeeze it out over the chosen goose! Our final game is a relay where the kids fill up a cup using only a bucket of water and their hair! The kids have to run to the bucket of water, dunk their head in, then run back and squeeze out their hair into the cup that you are holding next to their line! This game works best with a larger number of kids and its great for girls with longer hair! If you are lucky enough to live near a beach like our San Diego families, another way to beat the heat is to have a beach day! Make it a day trip by bringing a picnic lunch and plenty of water! Also pack the boogie boards, surfboards, and any other activity that your kids like to do in the ocean! Just remember to stock up on the sunscreen, and bring an umbrella! Another fun activity that is indoors and air-conditioned is a rock climbing gym! Many places have lessons for kids and kid friendly climbs. It is amazing exercise, a mental challenge and it’s so incredible when your child reaches the top for the first time! Overall it’s a great way to get out of the sun and try something new! Seeing a movie seems like a nighttime activity, but in the summer when it is blazing hot it’s a great way to have fun indoors! If you want a less high-energy activity then this is a great option. So mix it up by seeing a movie during the day instead of at night! Summer does not have to be all play all the time! Museums are a great way for kids to learn and stay smart over the summer in a fun and air conditioned way! There is also such a variety from art, history to science that all kids can find a museum that they love! Chicago is ripe with museums and San Diego has some great ones in Balboa Park. Make it a fun and educational day that your kids will never forget! Don’t let summer boredom and the heat get the best of you! 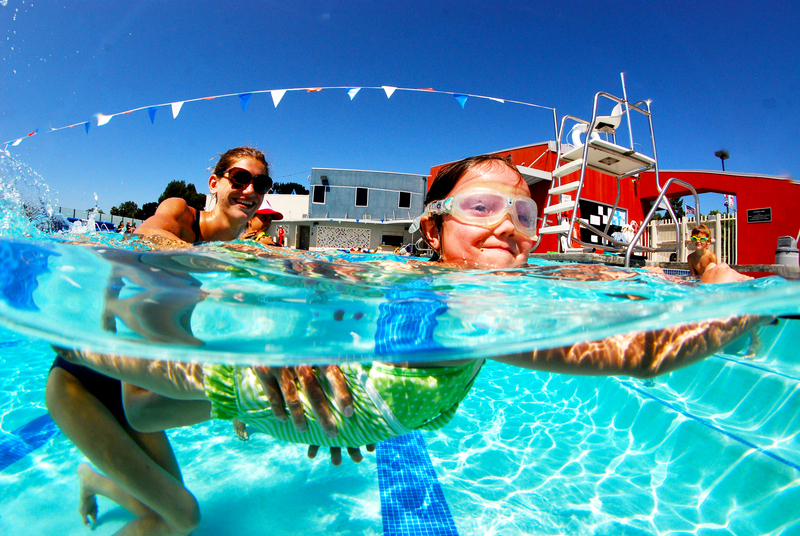 Keep the kids cool and entertained all summer long by trying these activities!